Nails prepped and ready to go…..
At this time of year I become a little more aware of the state of my nails…..purely based on the fact that they will probably be coated in nail polish and shown off to the world. It only seems to be on holiday that I find the time to buff my finger nails to get them in good shape. As for my trotters… well summer means a lashing of bright coral coloured nail polish. Last summer my toe nails were resplendent in a gel pedicure, but this absolutely trashed the condition of them. This year I am looking to take better care of them and more often. 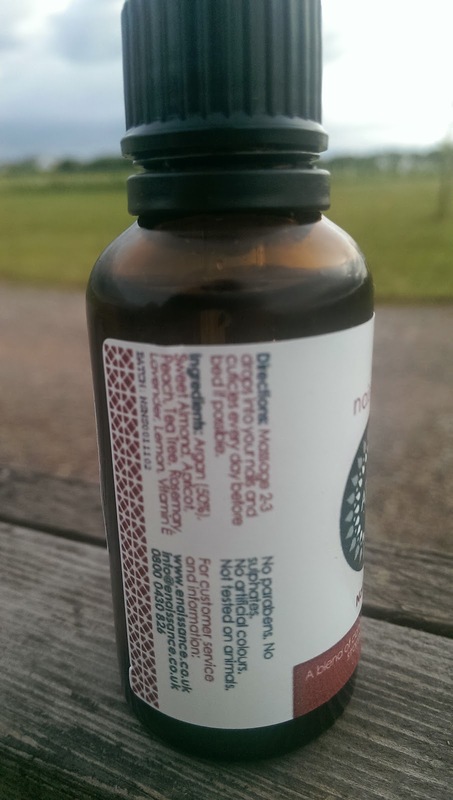 I have often used moroccan argan oil on my hair, but I have only recently started to use it on my nails. 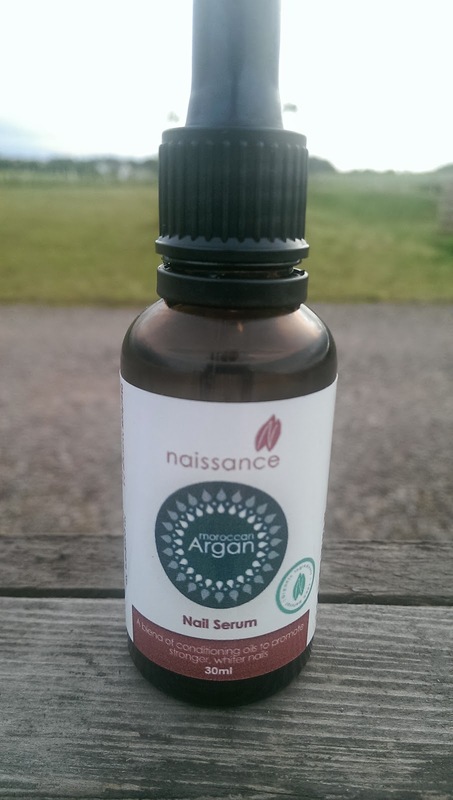 Naissance (www.enaissance.co.uk) do a great Moroccan Argan Nail Serum for £6.99. This 30ml dropper bottle aims to strengthen, lengthen and make your nails whiter. For the last month I have been applying it to my nail beds and gently massaging in. Whereas before I would use a nail polish to strengthen my nails, I actually have noticed they are less bendy and less likely to break. The gentle blend definitely has a prominent smell of tea tree and lavender, which if you don’t like the smell of these oils you will not enjoy this product. I have found my nails to be 100% stronger. Before they would have cracked or snapped at the drop of a hat. Now they can pretty much hold up to anything. I am also comfortable that they are in better shape for when I apply polish. The biggest difference I have noticed is in my toe nails. Great product. Fifi Friendly. I would recommend it to purchase and give your nails a treat. Ingredients: – Argan 50%, sweet almond, apricot, peach, tea tree, rosemary, lavender, lemon, vitamin E.
Previous Post Naturvits Vitamins….Natur-hits ?